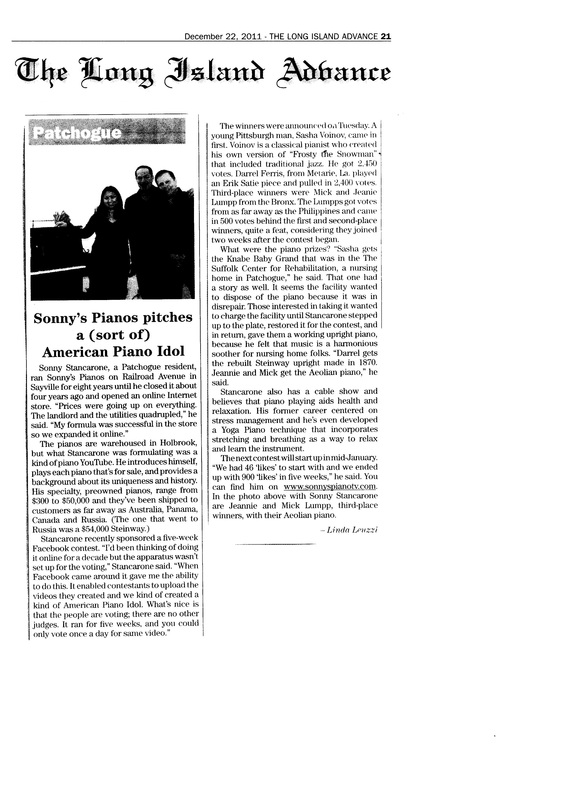 Article in The Long Island Advance newspaper about Sonny’s “Win A Free Piano” Contest! Article in "The Long Island Advance" about Win a Free Piano Contest! Sonny with “Win A Free Piano Contest” 3rd place winners Mick and Jeanie Lumpp. Sonny with "Win A Free Piano Contest" 3rd place winners Mick and Jeanie Lumpp. NEW! LATEST SONNY’S “WIN A FREE PIANO CONTEST” TV SHOW! Art Case Mason Baby Grand, (VIDEO) Rebuilt/Refin. Mahogany Double Legs $2500. Art Case Mason Baby Grand, Rebuilt/Refin. Mahogany Double Legs $2500. Art Case Mason Baby Grand, Rebuilt/Refin. Mahogany Double Legs $3500. To view Mason VIDEO TOUR click here! You Don’t Have To Stand On Your Head To Do Yoga! Let’s face it. We are not all star athletes; Some of us are a little more sedentary, but good news! – Now you can enjoy the health benefits of yoga simply by sitting down at the piano or on a chair. Piano Yoga is a new method created by Sonny Stancarone that enables everyone to play piano instantly. Sonny’s approach combines breathing, relaxation and stretching exercises with basic piano playing concepts and improvisation techniques. Through this method, children and adults of all ages can now immediately enjoy playing piano and derive health benefits while doing so. Gentle Chair Yoga– Seated Series”, developed by Paula Montalvo and produced by Sherry Zak Morris of Yoga Journey Productions, provides a method of performing yoga geared towards seniors and those with limited mobility. All of Paula’s exercises can be performed while sitting in a chair. These two videos purchased separately would cost $44.90 + S&H. Now, with a special offer you can save over 20% by purchasing them together. For more information or to purchase Click Here. This combo pack makes a great stocking stuffer gift for children and adults of all ages! In addition to sharing a love for yoga and a genuine interest in helping others achieve health and wellness, Paula and Sonny have a unique bond. They are an aunt and nephew with years of yoga practice supporting their respective areas of expertise. Sonny has a Masters degree in Exercise Physiology from Adelphi. With over 40 years of teaching both piano and yoga, he has applied his expertise to create the Piano Yoga method. At 80 years old, and with over forty years of practicing yoga, Paula Montalvo is a retired Family Counselor and certified Yoga instructor. Yoga has been a constant in both Paula and Sonny’s lives. They created their innovative yoga DVD’s independently on separate coasts (California and New York) and have decided to share their methods at a reduced cost so others can also relax and enjoy the benefits of yoga. Sonny is currently running the “Win A Free Piano Contest” on Facebook that has fans buzzing. The contest is heating up with contestants in a neck and neck race to get the most votes and win one of the grand prizes. To enter the contest, all someone needs to do is upload a video of themselves, family, friends, pets, etc. playing piano or keyboard in any creative way they choose, and then get their friends to vote for them. The videos that have already been uploaded vary from an adorable 3 year old, Nevera, playing and dancing to her keyboard to an exciting improvisational rendition of “Frosty The Snowman”. First prize is a Knabe baby grand piano. Second and third prizes are a Steinway upright and an Aeolian player piano. Seven runners-up will receive a copy of Sonny’s Piano Yoga “Play Piano Instantly” DVD kit. SonnysPianoTV.com is an interactive all video website and TV Channel that features piano and wellness TV shows, piano playing tips and lessons, a jazz café and Sonny’s piano gallery with new and used pianos for sale. 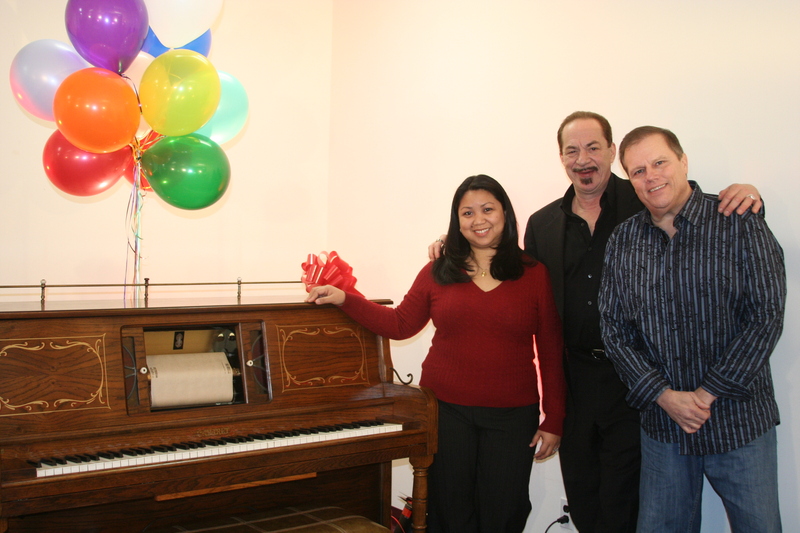 Sonny’s Piano TV Company sells and ships pianos nationwide and worldwide. Yoga Journey Productions was founded under the primary principle of producing yoga videos that are accessible to all populations, no matter what physical condition, age or life stage a person may be in. Paula is a unique and caring instructor. Paula’s DVDs can also be found on the Yoga Journey Productions website along with other yoga training DVDs. 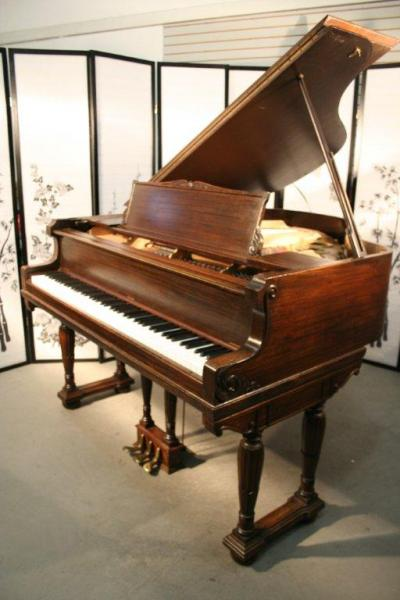 Art Case Sohmer Baby Grand Walnut 1960 Excellent $3950. Yamaha GH1 Baby Grand Piano 2001 Ebony Pristine $7900.